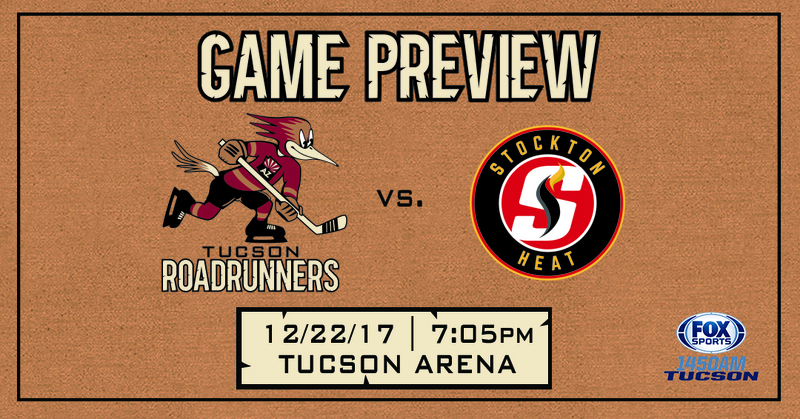 HELLO, HEAT: Tonight marks the fourth of eight meetings with the Heat this season, and the third of Stockton’s four scheduled visits to Tucson Arena. The Roadrunners are playing the first of a two-game home stand; they’re coming off of a 6-1 win over the Ontario Reign Saturday night. The Heat are playing the fourth of a seven-game road trip; they’re coming off of a 4-1 loss to the San Diego Gulls on Saturday. STOCKTON SOLID: The Heat come into the night sixth in the AHL in scoring, averaging 3.36 goals per game, and fifth in the league in defense, allowing their opponents just an average of 2.68 goals per game. The Roadrunners are right in tune with Stockton, currently situated at fifth in offense (3.39 GPG) and sixth in defense (2.78 GAA). STROME RETURNS: Dylan Strome is expected to return to the Roadrunners’ lineup for the first time in seven games tonight. In 15 games with Tucson, the 20-year-old has totaled 26 points (8G, 18A). He has four points (2G, 2A) in two games against the Heat this season. HISTORY BOOKS: Forwards Michael Bunting and Dylan Strome enter the evening with seven-game point streaks, tying a franchise record set by Brendan Perlini, Christian Fischer, and Kyle Wood during the club’s inaugural season. Bunting’s streak began on December 3; Strome’s run went from November 10-25 prior to his recall to the Arizona Coyotes. SISLO FOR 400: Mike Sislo will play in his 400th American Hockey League game tonight. He has registered 237 points (114G, 123A) in 399 AHL games thus far, having played with the Albany Devils (304 games), San Antonio Rampage (54 games), Toronto Marlies (18 games), and now the Roadrunners (23 games). He has recorded 13 points (8G, 5A) in 23 games this season. BAD BLOOD? : Will there be any carry-over from the extracurriculars seen in the third period of the teams' last meeting? The clubs combined for 54 penalty minutes during a line-brawl scurmish on December 9 at Stockton Arena. SEEING RED: The Roadrunners will wear their brick-red uniforms on home ice for the first time this season; they are 5-2-1-1 in their dark kits. 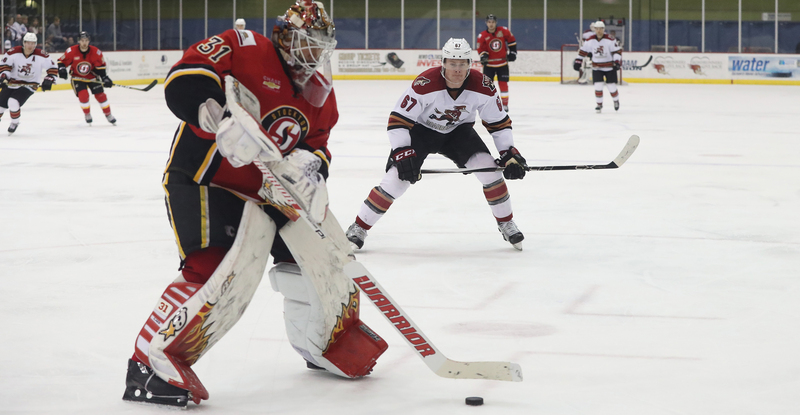 THE LAST TIME AROUND: In the teams’ previous meeting on December 9 at Stockton Arena, the Roadrunners fell to the Heat by a 5-2 score. Dysin Mayo and Trevor Cheek scored for the Roadrunners; Adin Hill stopped 29 of 33 shots faced in the loss. Cheek's goal was his 100th career professional point.